Introducing our most realistic, flameless candle, yet. Innovative technology in an incomparably luxurious package. Our new candle is so good, it’s surreal. 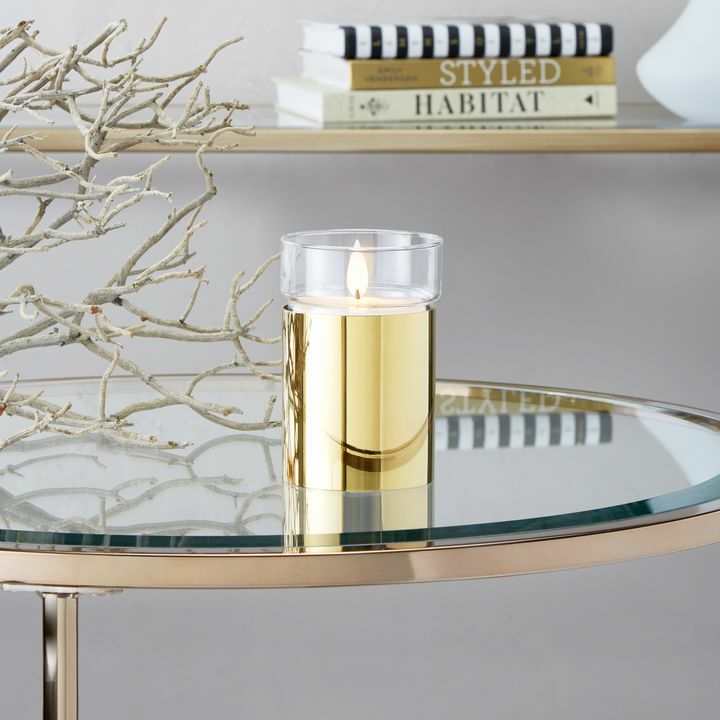 Showcasing the newest tricks of the trade, our latest flameless candle offers all of the benefits of a wax and wick candle - the appearance of a flickering, lifelike moving flame and a warm, inviting glow - without any of the mess or the worry. And unlike traditional candles, this candle will keep on giving so that warm ambiance is always at your fingertips. Innovative technology in an incomparably luxurious package. 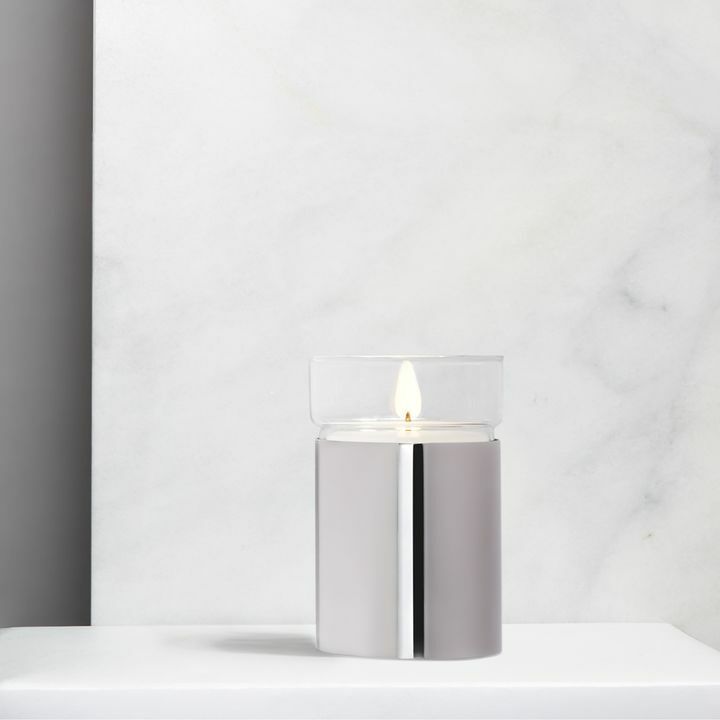 With its premium poured wax, and sleek, stainless steel vessel, the Surreal Candle is the perfect addition to your coffee or console table. Available in three versatile finishes: “of the moment” rose gold, modern silver, and timeless gold. Find the perfect finish for your home. Enjoy candlelit ambiance, even with kids and mischievous pets. Turn on, and leave at your convenience. 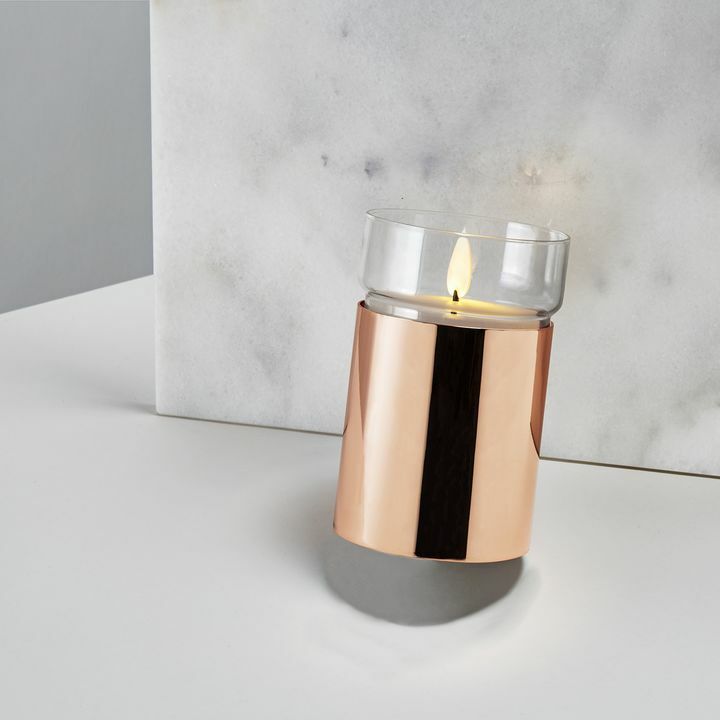 A shifting lens projects a magnified reflection of warm light onto the candle’s tip, giving the illusion of a dancing flame atop a stationary wick.